It’s common to talk about moving a prospect through the sales funnel. Yet organizations place incredible pressure on teams to improve their average close rates and shorten the sales cycle. But to do this effectively, sales leaders must ensure enough resources are provided to optimize every step of the sales process. As a company, do you know how to segment prospects and customers so you can more effectively use the funnel? Instead of batching pipeline contacts into one broad category, mature sales organizations use a variety of filters to segment their leads and close more opportunities. In this article, we explain what the main segments in a traditional sales funnel are and how to use them to your advantage. According to sales expert Rajiv Sharma, there are six main stages of a standard sales funnel. Also, to ensure more MQLs become sales accepted leads (SALs), companies can commission their marketing team to generate more leads from sources that historically deliver ready-to-buy prospects. 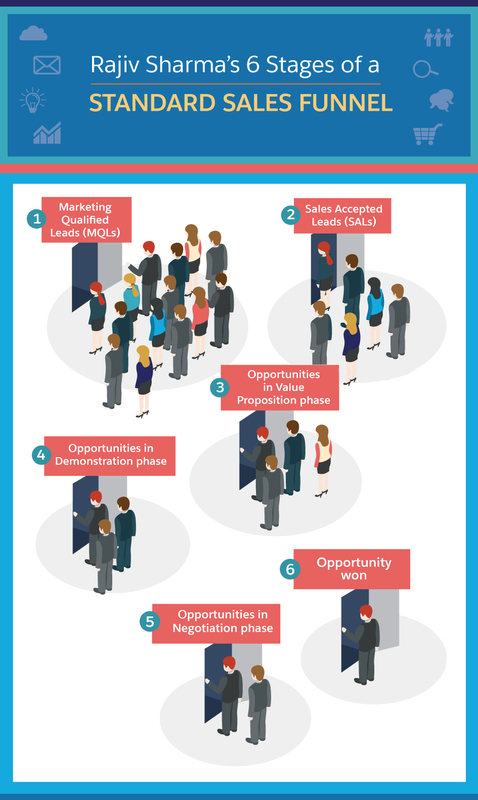 To get to the second stage of the sales process, salespeople sift through the list of MQLs to develop a more targeted list of SALs. These SALs meet criteria that sales teams have for the type of prospect they believe may convert into a sale. This is often a quick screening process that includes light research about the prospect online. Since the subsequent steps are labor intensive, it is imperative that sales reps carefully filter their list of MQLs to identify leads that are most likely to have the budget, authority, need, and timing to purchase their solutions. At this point, sales teams reach out to SALs to better qualify each lead and potentially convert them into sales opportunities. Once a lead is converted into an opportunity, salespeople must conduct further needs discovery to see if there is proper alignment between the value their product offers and the expressed and latent needs of the customer. At this stage of the sales funnel, reps may engage with leads through email, phone, social media, or video chat. Here, salespeople demonstrate the benefits and potential of their product or service to fully qualified leads. This often calls for a formal product demo, which may include a screenshare or video conferencing session. To successfully move onto the next stage of the sales funnel, sales reps must focus their energy on highlighting ways their particular product or service addresses the customer’s biggest pain points. Avoid confusing prospects and wasting their time by trying to sell solutions that may not interest them. In the negotiation phase, proposals and counter proposals are exchanged in an effort to finalize purchase and service agreement terms. Whenever possible, seek to upsell your customer to increase your average deal size. If your contact has reservations about price, do not react by offering a discount. Instead, add extra features or deliverables to help them justify the cost. If, on the other hand, your prospect is indeed limited by his or her budget, create a new proposal with fewer deliverables. That way you provide them with a package that suits their budget. Finally, the sale is closed and sales reps can revisit this opportunity at the end of each contract to see there are ways to renew or update the engagement. 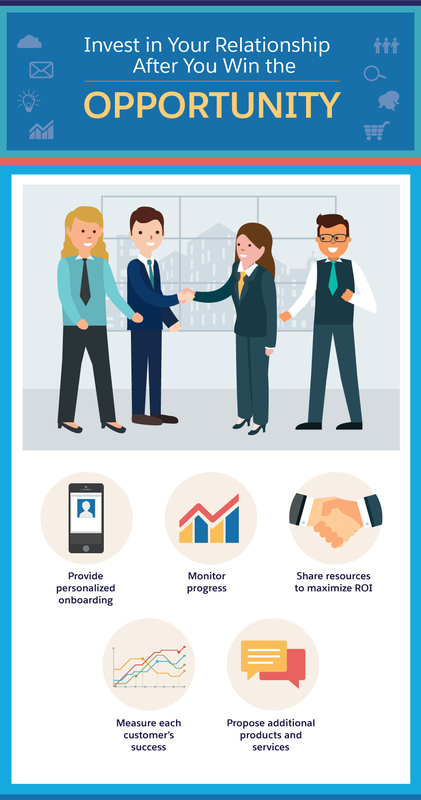 To ensure a long and fruitful relationship, invest in thorough onboarding, monitor their progress throughout the engagement, provide resources to maximize ROI, measure their success, and propose new ways they may reinvest their earnings with your products or services. After you have established your sales funnel, you will want to segment your leads. That is because every customer follows a unique decision-making journey prior to completing a purchase. With lead segmentation, sales teams can personalize their approach with each prospect. 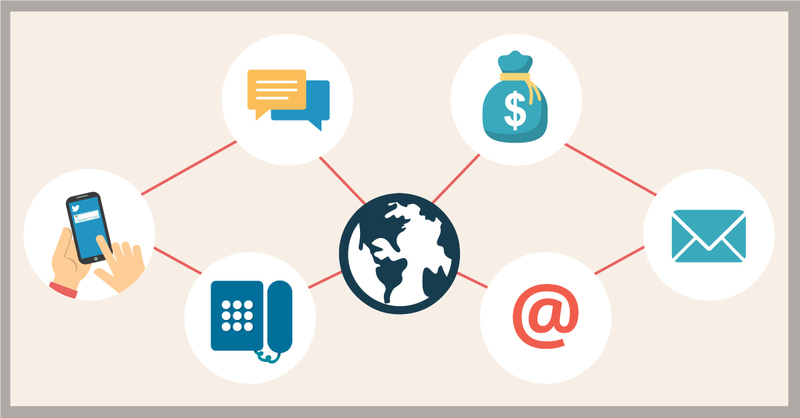 Identify where your leads are coming from. Some prospects who sign up through email marketing initiatives respond better to certain sales pitches than customers coming in from direct mail campaigns. Users who download your e-book may be more receptive to a sales call than someone who clicks your banner ad. Other common B2B sales lead sources are cold call lists, customer referrals, partner referrals, social media, and webinar attendees. When you segment your prospects and customers this way, you may also discover that a majority of your sales come from one or two lead sources. Knowing that can influence how you allocate budget for future lead generation and prospecting efforts. Categorize your contacts according to the industries in which they operate. Buyers from healthcare companies make purchasing decisions differently than employees of consumer packaged goods businesses. The same can be said about prospects from marketing agencies and software firms. Also, consider who your customer sells to. B2B companies have different needs compared to business-to-consumer brands. Quantify the number of employees a prospect’s firm may have. Contacts at bigger companies may have to get buy-in and approval from multiple people in different departments before they can finalize a purchase. Leads at smaller companies, on the other hand, may be ready to commit to a contract on the first call. Once you notice these and other patterns emerge, you can develop a smarter strategy for selling to small businesses and large enterprises. Companies can often sell multiple solutions to the same customer, though that customer may only be interested in one or two of your main offerings. And with each product comes a unique sales pitch. Thus, some leads are best segmented according to the products or services they seek to purchase. Businesses abroad are accustomed to different sales approaches; be mindful of sales etiquette when pitching prospects overseas. It’s also wise to group businesses in a specific country or time zone together. That way you can contact or follow up with them during their normal business hours when they may be most responsive. Strategically scheduling your outreach can help you avoid your email from getting buried overnight in a prospect’s inbox. Gather an understanding of who your contact is. A junior marketing analyst may be more open to a sales conversation, but may not have the authority to make a purchase or the clout to present your proposal to the rest of the team. However, the vice president of marketing may have enough influence to introduce you to other decision makers within the firm who would happily hear your sales pitch. Also, C-suite executives may have enough autonomy to make an independent purchasing decision. Filter your opportunities by potential deal size. Customers follow different purchasing paths when they are considering licensing a $1,000 software versus a $50,000 service. Thus, salespeople who are more effective at closing bigger contracts should prioritize opportunities according to estimated deal size. Alternatively, sales reps who are better at securing smaller contracts can instead focus their efforts primarily on engaging and nurturing leads who may only commit to $500 engagements at a time. While every good sales organization should use aspects of the traditional sales funnel—including its segments—to organize their sales process, they should be mindful that it is an imperfect model. To win at sales, leaders and their reps should constantly update their sales approach to complement the always-evolving sales funnel.